Eva your cards are absolutely spectacular!! Congratulations. I am going to use them in both the clinical and corporate settings. I work with in team building and group process. I can’t wait to order more and give them as gifts. Will contact you! The cards just arrived today. Wow, they are awesome! I can’t imagine how much time must have gone into making them. You captured every concept with such great pictures. Amazing! Eva! Oh my gosh – they arrived and they are even more fabulous than I imagined! You put so much work into those. What a treat for me to have a set. Woot woot woot woot!!!!!! Thank you so much for sending them. I hope you sell out everywhere. I’m going to keep them by my bed and go through one-a-night before bed – really think about it and focus on that particular concept. In terms of work, I can pull specific concepts based on my clients and/or my presentations. 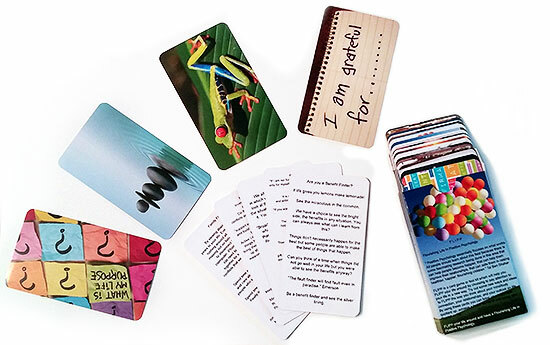 I’m reading your cards everyday in India! They are so amazing!!! 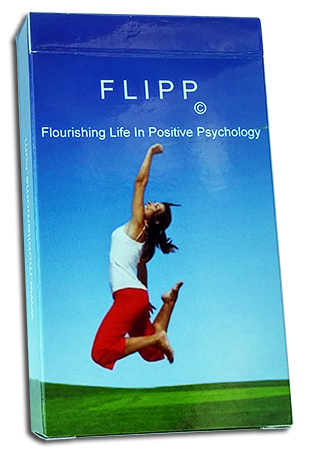 I love the name, FLIPP – such a great play on words – flip cards, the acronym for your title, flip your life around. Bravo! I LOVE mine and I used them just this morning for inspiration as I planned a program on relaxation. Thankfully, the quality is excellent so that they will withstand the wear and tear I’ll be giving them.